Some of those who call High River home are thankful for all of the clean-up work done by volunteers this weekend nearly a year after the flood. 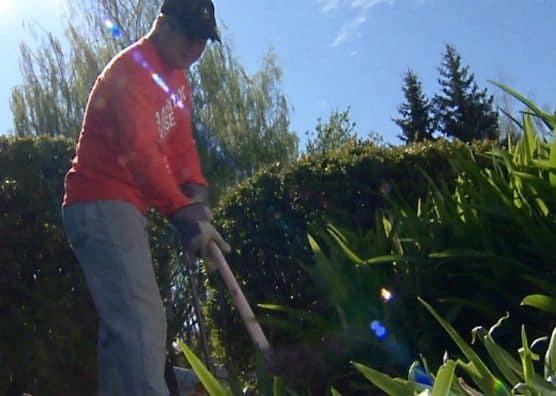 About 60 volunteers from Samaritan’s Purse in Calgary spent Saturday dragging away debris, digging up flower beds and sprucing up lawns. While some have questioned why the volunteers are doing this work before the rainy season, one volunteer says it will help in the long run. “Part of me says, ‘Why are we doing this, when no one’s living here? '” said Joanne Harris, one of about a dozen High River residents whose yard received a makeover. “But the other part is, if we don’t do it, next year will be a disaster and to have all this help is just very inspiring. What I would have taken all summer to do, they’re going to do in one day,” she said. Samaritan’s Purse says the goal is to help as many residents as possible, and that volunteers will be returning to High River for the next two weeks.